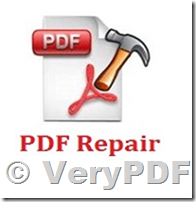 VeryPDF PDF Repair can fix damaged PDF files. You can use PDF Repair Tool to analyse PDF files against corruption, repair or recover content from corrupt files. PDF Repair is a powerful PDF recovery tool. Recover damaged PDF files. Repair PDF files. Fix PDF files. Repair Pdf is a pdf doctor. Do you have an important pdf but when you open it in adobe pdf reader it would say "the file is corrupted"? There are a lot of reasons that a pdf file can get corrupted. 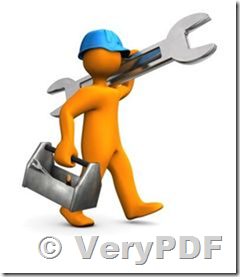 VeryPDF pdf repair application looks for all possible reasons and fixes all of them. So a corrupt pdf file is fixed so that you can view it in any pdf reader. There are only very rare cases where the pdf file is corrupted beyond repair. If you have one of those files, please send them to us and we will fix it offline. Corrupt pdf files are of no use if they cannot be repaired. Our pdf fixer will repair the corrupt pdf documents and make them useful again. VeryPDF PDF Repair (formerly Advanced PDF Repair) is best PDF recovery tool in the world. It uses advanced technologies to scan the corrupt or damaged Acrobat PDF files and recover as much of your data as possible, minimizing the loss caused by the file corruption. This entry was posted in Advanced PDF Tools, PDF Toolbox Command Line and tagged fix corrupt pdf, fix pdf, PDF Repair, repair PDF. Bookmark the permalink.